Image courtesy of Bravado Gaming. On Bravado’s map pick, things got off to a good start for the South Africans. There was a late comeback in the first half for Vision as Bravado’s economy took some pain at the hands of the Terrorists. The half ended 8 – 7, but moving over to the attacking side there would be very little positives for the Vision side as BVD overran the CTs. It’s good to see Bravado making Dust II a strength in their map pool again. Not many teams are proficient on it at the moment, but most skilled lineups are willing to leave it in the veto, believing they can take aim duels and win. As we’re seeing on the international scene, if you have a good CT side on this updated version of the map, it’s very possible for it to be a strong map in your pool. Yet another 8 – 7 score at half time after starting on CT for Bravado. On a more heavily CT-favoured map like Nuke, they probably needed a few more rounds to be safe heading into their T side. What is encouraging to see is how much more comfortable they look on Nuke than they did in the past. It’s a very seldom played map all over the world, but in South Africa particularly it’s almost always a perma ban in all BO3s. They have been forced to play it a number of times in important best of three series by North American opponents. It’s not usually gone well. This was a much better look, even if they eventually lost. What looked to be a rather tantalizing prospect, if indeed anything looks appealing at 05h00 after staying up to watch the game, turned out to be one-way traffic. Bravado crushed the life out of Vision on Overpass and claimed the ESEA MDL title, with a 2 – 1 series win. Detrony and Elusive had some amazing individual moments in the series that are worth checking out on the HLTV match page. All the Bravado players had a good series, with the HLTV ratings reflecting their contributions. A highly commendable overall effort in the series. As I mentioned earlier, some well-earned R&R! 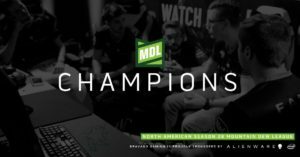 Sadly, this particular season of ESEA MDL (Season 28 overall of ESEA and Season 5 of MDL, specifically) doesn’t offer the chance of promotion to ESL Pro League. That’s a huge shame as it would have given Bravado Gaming a crack at the last-place finisher in EPL to potentially progress to the next tier. 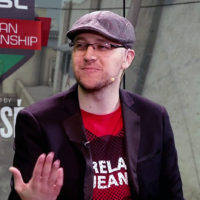 However, the positive side of it is that another season in MDL means Bravado have time to refine their game. To prove definitely that this season wasn’t a fluke and that they deserve a spot in EPL. It’s always tougher to stay at the top than to be in the chasing pack, so it will be a significant challenge. One I’m sure the players are relishing. Enjoy your break boys! 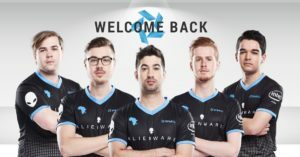 The South African CS:GO scene is behind you for next season. If you’d like to meet the team and welcome them back, you can catch them tomorrow morning landing at OR Tambo, 1 August 2018. More information here. Header image courtesy of Bravado Gaming.